And how do I get rid of the smell? Smelling gas in or around your vehicle could be as insignificant as a minor inconvenience, or it could be an indication of a serious problem. If you smell gas, the first thing you should do is try to locate the source of the smell, as this could help in diagnosing the problem. Here are some potential reasons for a smell of gas, as well as how to get rid of a persistent odour. While at the gas station, gas fumes can enter your car, or small amount of liquid gas could be splashed into, on, or near your vehicle. All of these will cause a noticeable odour, even when you drive away from the station. 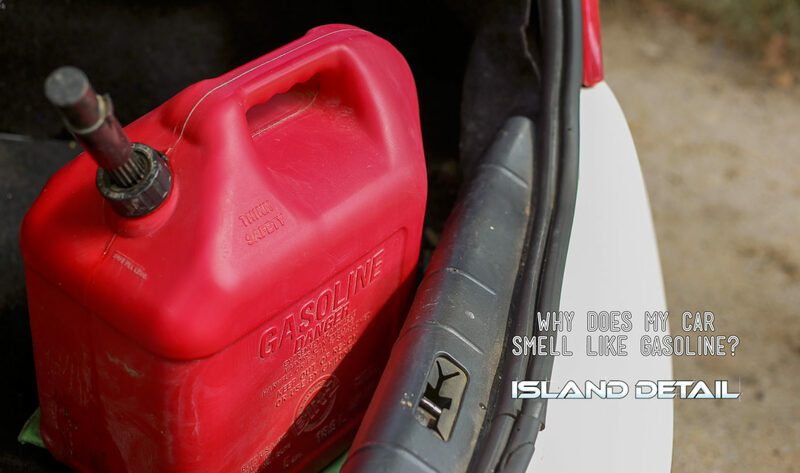 If you think that this may be the source of the smell in your car, perhaps you just returned from a trip to the pump, take note of how long the smell takes to fade. If the smell does not go away on its own, the problem may be more serious. If your vehicle was made in or before the early 1980s, you might notice a slight odour after turning the car off. This is because of the “fuel afterboil” that happens in carburetors made in that time period, which is a completely normal feature. Newer engines were equipped with evaporative-emissions systems that prevent the afterboil effect. If your car is equipped with one of these systems, or is a fuel injection system, it shouldn’t smell of gas. If your modern car is creating an odour, it is most likely a gas leak or a bad fuel pressure regulator. Gas leaks can occur at any point along your fuel system, which delivers fuel from the tank to the engine. Check under your parked car for puddles of gasoline, which indicates a leaking fuel line. If you notice a smell during and immediately after driving, the leak could be in the fuel injection line. A leaky fuel-tank vent hose may also be the source of the smell, as it would allow unburned gas to evaporate out of your fuel system. Leaks like these should be repaired as soon as possible, as errant gasoline is a serious fire hazard. A faulty fuel pressure regulator can cause several problems. Your vehicle may burn too rich or too thin an air-fuel mixture. If too much gas is in the cylinders during combustion, the excess gas will be expelled through your exhaust. If this is the problem, anyone standing around your vehicle while it is operating will smell gasoline and if exhaust fumes enter your vehicle through the ventilation system, you will smell it as well. Other signs that indicate a bad fuel pressure regulator include decreased power and poor fuel efficiency. If you are experiencing a persistent gas odour, it is important that you get it fixed as soon as possible. So what happens if you identify the problem, have it fixed, but the smell remains? Once the issue has been mechanically solved, you should get your car detailed by a professional automotive detailer. A professional detailer will be able to permanently rid your car of the annoying odour, and get you back on the road in style. If you are interested in seeing what a professional detailer can do for you, give us a shout and we can help you today.